Pepe Jeans Man Shirt "BARLETT"
Pepe Jeans Man Shirt "REED"
Long sleeve shirt by Canadian Country (4280) in white color with micro-pattern design and pocket on the chest. Made in regular fit. 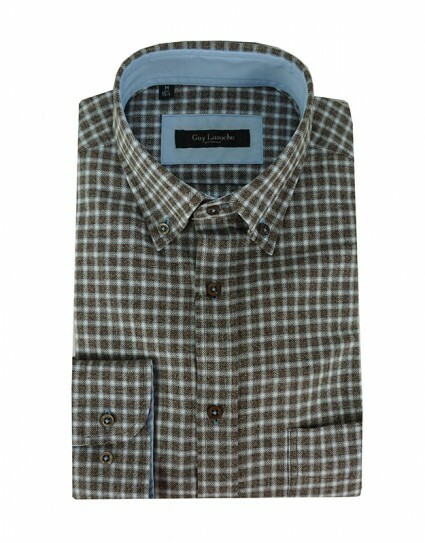 Long sleeve shirt by Canadian Country (4400) in ciel color. Made in regular fit. Long sleeved shirt by Canadian Country (3350) in black color with felt pocket on the chest and dotted pattern design. Made in regular fit. 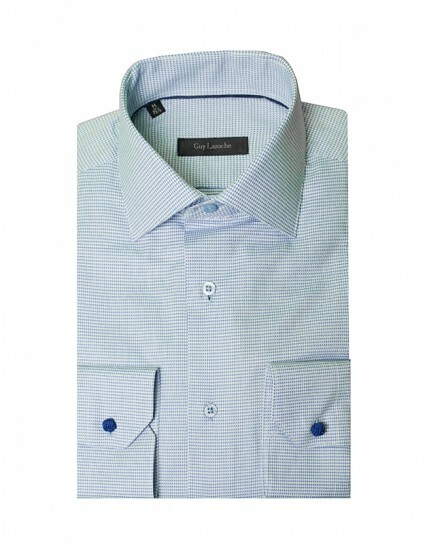 Long sleeved solid shirt by Artisti Italiani (AI28207/CR) in ciel color. Made in regular fit. Long sleeved shirt by Canadian Country (3400) in grey color. Made in regular fit. 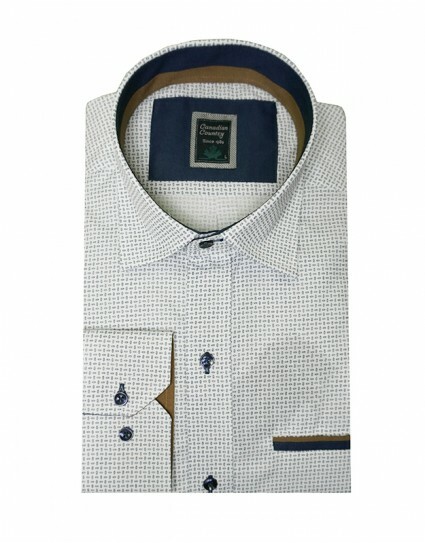 Long sleeved solid shirt by Artisti Italiani (AI28212/CF) in navy color with micro-pattern design. Made in regular fit. Long sleeved solid shirt by Artisti Italiani (AI28215/CC) in ciel color. Made in regular fit. 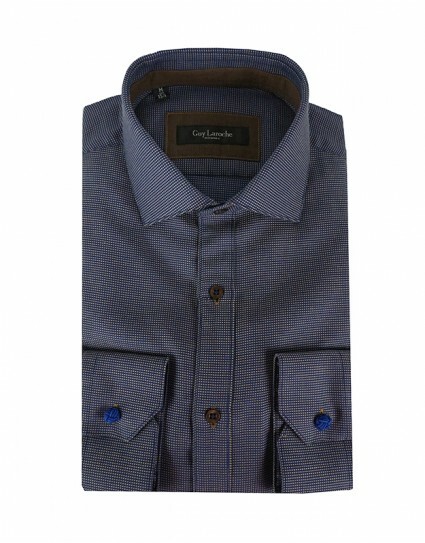 Long sleeved solid shirt by Artisti Italiani (AI28218/CBD) in ciel color. 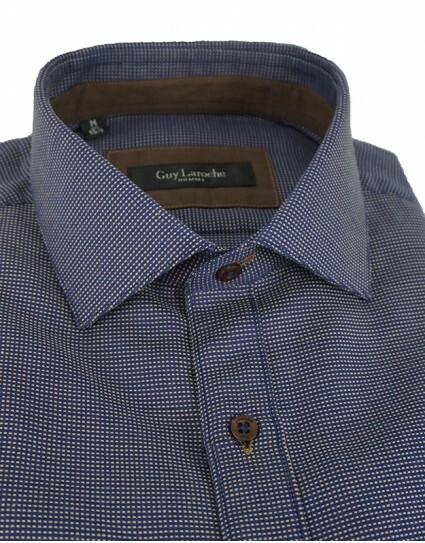 Made in regular fit with button on the collar. Long sleeved shirt by Canadian Country (3400) in white color. Made in regular fit. 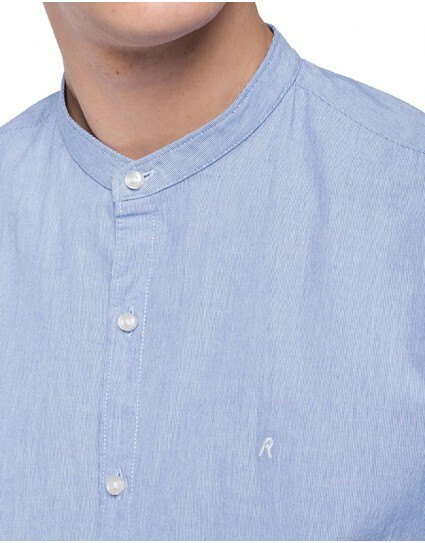 Long sleeved jean shirt by Replay (Μ4001.000.39Β357) in denim color with pockets on the chest. 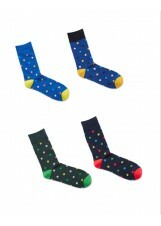 Made in slim fit and it has elastc fabric. 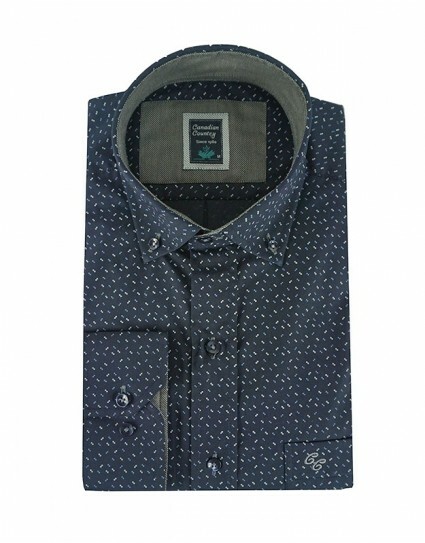 Long sleeved shirt named “BARLETT” by Pepe Jeans (ΡΜ305449) in ciel color with micro-pattern design and pocket on the chest. Made in regular fit. 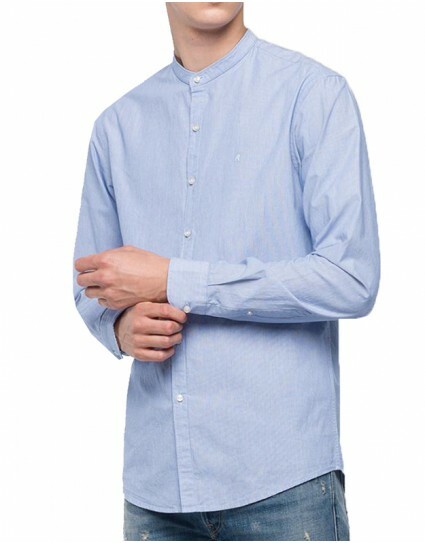 Long sleeved shirt named “REED” by Pepe Jeans (ΡΜ305490) in ciel color with stripped pattern design and hidden cuffs. Made in regular fit. Long sleeved flanel shirt by Replay (Μ4987.000.52024) in red color with checkered pattern design and two pockets on the chest with logo. Made in regular fit. 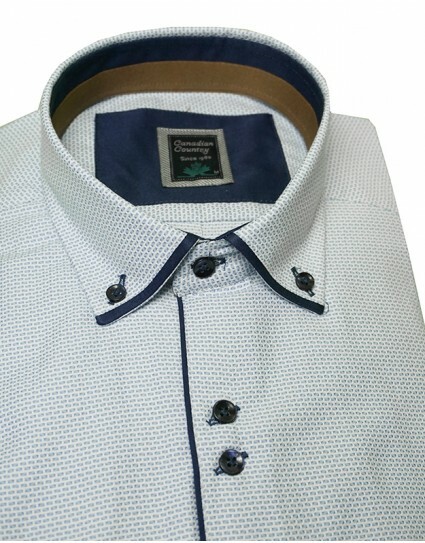 Long sleeved shirt by Canadian Country (3250) in blue color with different color button line and inside the collar, it has pocket on the chest. Made in regular fit. 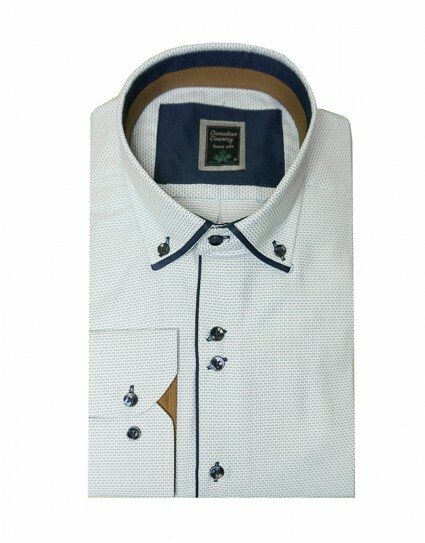 Long sleeved shirt by Canadian Country (3300) in white color with different color button line and inside the collar, it has pocket on the chest. 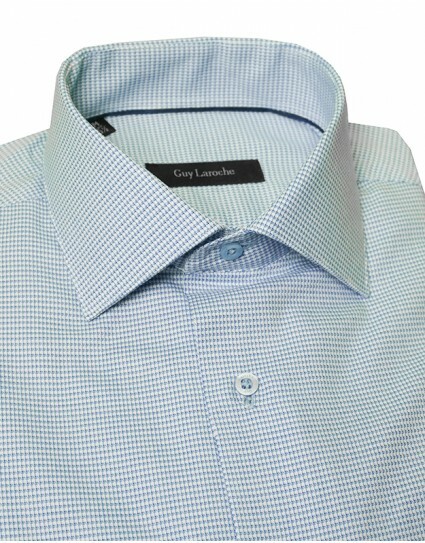 Made in regular fit with button on the collar. 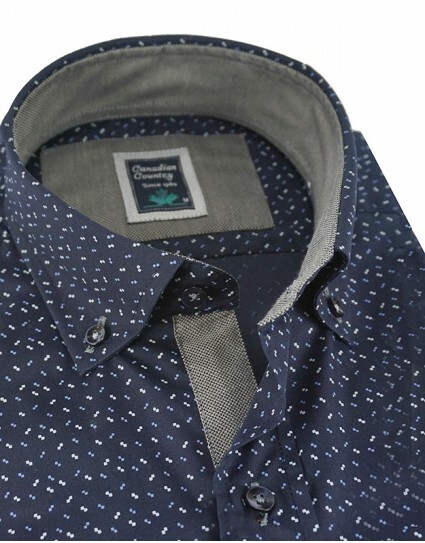 Long sleeved shirt by Canadian Country (3300) in navy color with different color button line and inside the collar, it has pocket on the chest. Made in regular fit with button on the collar. 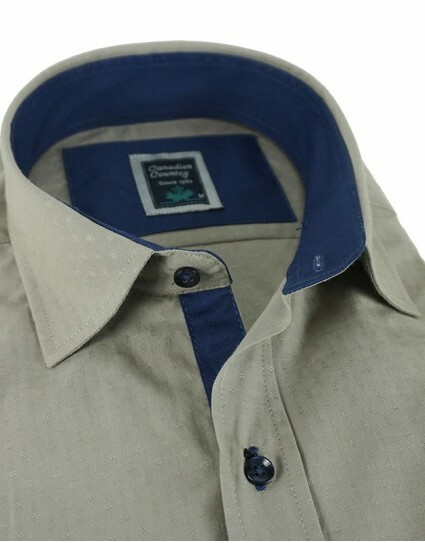 Long sleeved shirt by Canadian Country (3300) in ciel color with different color button line and inside the collar, it has pocket on the chest. 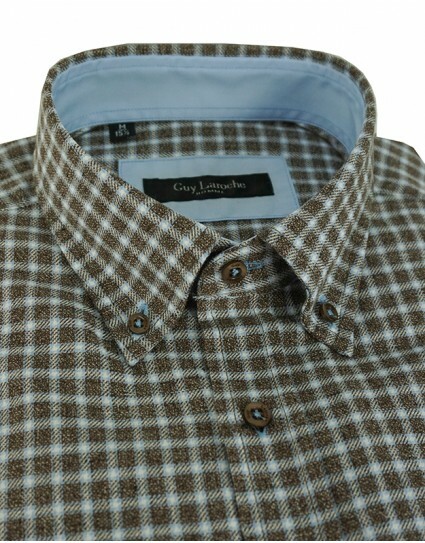 Made in regular fit with button on the collar. 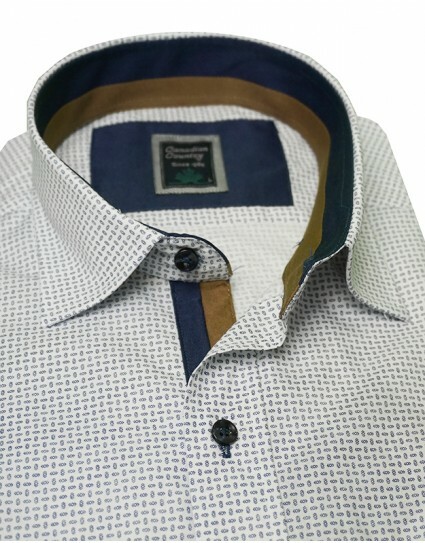 Long sleeved shirt by Canadian Country (3280) in ciel color with different color button line and inside the collar, it has pocket on the chest. Made in regular fit. 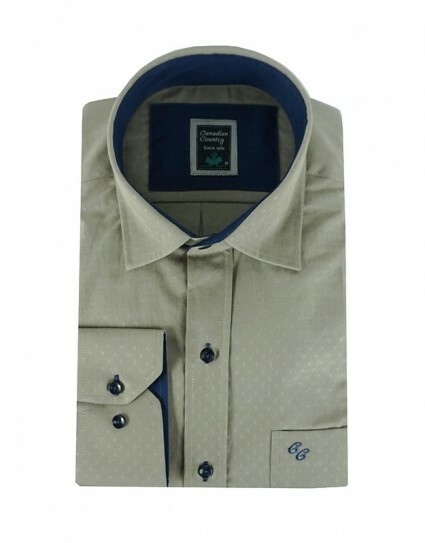 Long sleeved shirt by Canadian Country (3280) in beige color with different color button line and inside the collar, it has pocket on the chest. Made in regular fit.